The Guinea Football Federation (Feguifoot) has appointed the mother of Manchester United midfielder Paul Pogba as an ambassador for women’s football. Yeo Moriba’s nomination followed a meeting with Feguifoot President Mamadou Antonio Souare. Moriba is a former international herself with the Guinea women’s team. 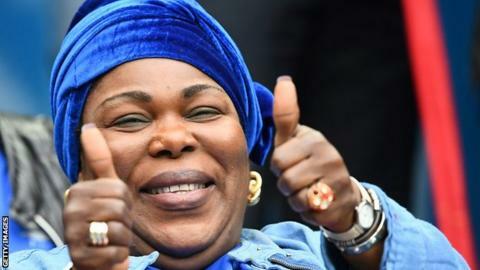 “I am proud of what the Guinea Football Federation and its president have done,” she told Feguifoot’s website. The hope is that the family will be able to rejuvenate women’s football in Guinea. Unlike their male counterparts, the women’s team has never qualified for the Africa Cup of Nations let alone the World Cup or Olympics.